To give you a better idea of what vehicles require, you can refer to the following information to know better about the different size of lorries that we have. 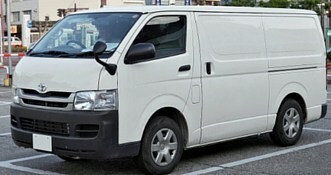 The Hiace is one of the largest cargo vans available. They are suitable for transporting queen size mattresses and large tables. They are also good for a large quantity of small boxes or parcels.